Guadeloupe is located in the eastern Caribbean Sea. It is an overseas department of France. As with the other overseas departments, Guadeloupe is also one of the twenty-six regions of France and an integral part of the Republic. As part of France, Guadeloupe is part of the European Union and it's currency is the Euro. 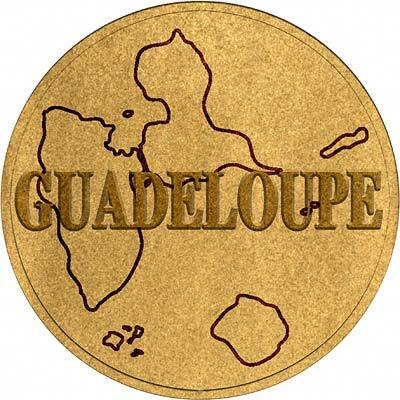 For silver and base metal coins of Guadeloupe, please look at our original Chard Coins website. We make an active market in almost all world coins, gold or otherwise, including Guadeloupian gold coins. If you have any of these coins to sell, please contact us, or post them to us for appraisal and offer.